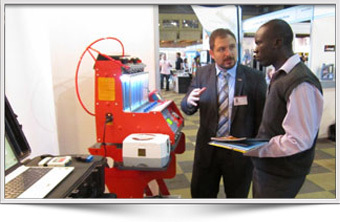 The rapid industrialisation and modernisation currently sweeping through many African countries has resulted in an increased demand for capital goods such as machinery, lubricants, spare parts, ball bearings and other automotive mechanical goods and accessories. The market for automobile spare parts, in particular, has been an attractive sector for global exporters, as Africa has witnessed a remarkable increase in imports by 30%. For 18 years, Autoexpo Africa has been chosen by the global manufacturers and exporters as the precise platform to enter the market of the millennium; Africa. 21st Autoexpo Africa - the largest automobiles, spares and accessories exhibition in the entire east African region is scheduled to be held from 17th to 19th May 2018. Celebrating its 21st year anniversary; the leading trade exhibition for automobile, truck and bus parts, equipments, components, accessories, tools, and services continues to bring world leading manufacturers, suppliers, and service providers in touch with one of the most important markets in the world.